Knowmad Adventures’ very own Jordan Harvey has landed himself a Travel + Leisure Top Travel Advisor hat trick. For the third year in a row, he’s proven that he has a depth of knowledge beyond other operators in some of the most adventurous regions in the world. Jordan’s knowledge of Argentina, Chile, Peru and Ecuador (including the Galapagos Islands) comes from his passion for sharing these culturally rich, breathtakingly beautiful areas and using his expertise to customize experiences that fit the uniqueness of each family, couple or group of friends that chooses to travel with Knowmad. When you speak with Jordan, you may be tempted to ask him to tagalong on the trip with you, given his enthusiasm and excitement in planning your experience. The whole Knowmad team is honored to have our very own South America Trip Specialist, Jordan, recognized again by Travel + Leisure for his talents. 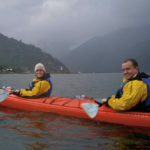 I sat down with Jordan and asked him a couple of questions about what has changed in the last three years, what type of travelers are a great fit for Chile and Argentina and details on the other regions Knowmad specializes in. What kind of traveler do you think is an ideal fit for a trip to Argentina and/or Chile? The beauty of these countries is that they have it all: from huge mountains to sweeping coastlines to varied indigenous cultures to pre-colonial and colonial historic marvels. Food, wine, music. Patagonia is a playground for the active nature lover, Buenos Aires and Valparaiso are vibrant cities, wine country relaxes the soul and mind and Atacama transports you to a land unimagined. So really, anyone with a deep appreciation of beautiful landscapes and cultures of the world is a great fit for a well-crafted custom trip to Chile and/or Argentina. What do you personally look forward to each time you return to Patagonia? I’ve gotten a bit soft as of late and I have to say I get extremely excited to have the privilege of staying in some of the world’s absolute best adventure oriented, luxury lodges. When you stay at a place like Explora, Awasi, Aguas Arriba or Hacienda Vira Vira, you get to experience some of the world’s most stunning mountains, rivers, and landscapes while also being able to simultaneously recharge and relax as you return to doting service and blow-your-mind delicious food, paired with decadent wines. What’s not to love about that? And I will always get butterflies awaiting that first view of the Paine Massif and Towers Peaks upon entering Torres del Paine National Park; the majesty of these mountains never ceases to amaze me. What, if anything, has changed in the last three years about how you organize experiences in Chile and Argentina? Our connections, reach, knowledge and ability to craft entirely unique experiences tailored to each individual traveler and group has just grown and grown. On the one hand this makes it harder, but more rewarding as well. We also started out with more of a hard adventure focus, and while we continue to put together rigorous expedition style trips as well, the market for adventure that’s physically accessible to a wider group paired with luxury has grown. As more and more retirees and sophisticated adventurers go deeper with their travels exploring the far-flung reaches of the globe, we find ourselves creating more experiences to match that growth. We also have more and more repeat Knowmads who, having worked with us previously, are more trusting and eager to simply put themselves in our hands, in essence coming to me and saying ‘you know best, create what you think is the masterpiece trip for us,’ and that is incredibly fun as it gives me a lot of creative freedom in how I approach building an experience for them. List a few reasons why you mentioned in the Travel + Leisure feature that you are excited about Awasi Patagonia Lodge in Chile. *Click the following link for a more detailed look at why Jordan is excited about Awasi Patagonia Lodge in Chile and be sure to take a look at our website for full Awasi Patagonia Lodge details, accommodation and excursion information and more. Regarding your additional specialties in both Peru and the Galapagos, what have you found to be the biggest reward in putting together trips in these regions? Peru is the cultural marvel of South America and I find cultural travel to have the most profound and lasting impact on travelers, so for me crafting experiences in Peru is a passionate undertaking. Peru is also a place where many companies, to be frank, have been creating trips for years that leave a lot to be desired and where some mass tourism has taken place for a long time. I do believe creating experiences is its own art form, and where there is a history of more mass-market tourism there is a challenge in not taking the easy road and instead creating truly unique, off-the-beaten path trips, which for me is very rewarding. Peru is where we have forged the deepest ties with indigenous communities and these relationships have great impact on me emotionally and spiritually. It’s easy to lose sight of things while working long hours in the office, but a trip to Peru reinvigorates and inspires me without fail. Galapagos is unlike any place on Earth and offers unparalleled wildlife experiences. The species are colorful, varied and more surreal feeling then say, for example, the big game of African safaris. You get to interact with them up-close-and-personal while being in a tropical paradise. 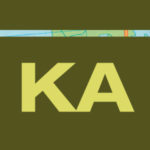 Not only does this make for ecstatic returning Knowmads, I believe well-done expeditions in Galapagos are bolstering people’s interest in wildlife preservation, one of the underlying causes that provoked us to create Knowmad Adventures and a compass of sorts in terms of the experiences we aim to facilitate. Thank you to Travel + Leisure for this great honor! Ready to plan your South American adventure? 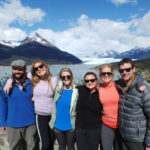 Take a look at our handcrafted trip ideas or give Jordan, a Travel + Leisure Argentina & Chile Top Travel Advisor, a call at 612-877-1735 to start planning your incredible, unique trip to South America today!